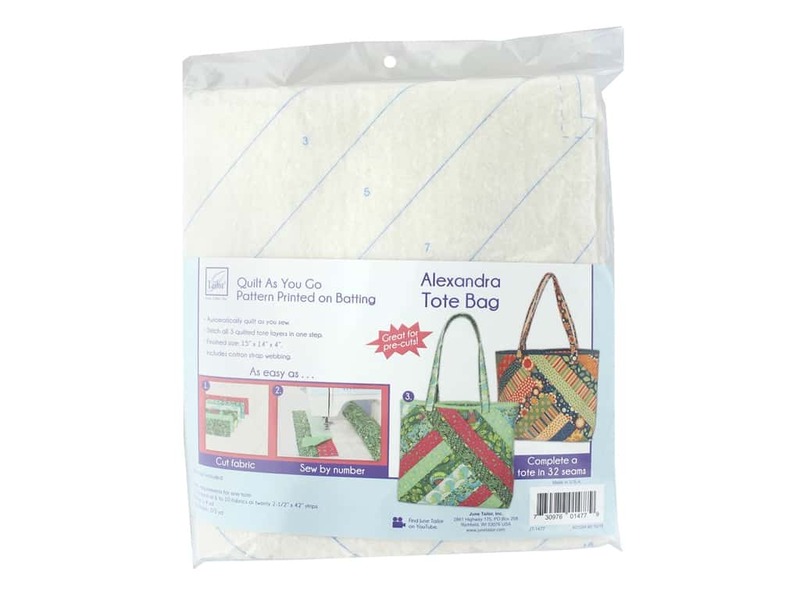 Description: June Tailor Quilt As You Go Cotton/Polyester Alexandra Tote Bag Pattern- Take scrapes of fabric to make your own tote Bag. Automatically quilt as you sew all 3 layers together in one step. Just cut the fabric, sew by number, and the tote is complete in 32 seams. The pattern is pre-printed on the batting. Perfect for 2.5" pre-cut fabric. Finished tote size is 15"x 14"x 4".